The global engineering services outsourcing (ESO) market was estimated to be at USD 402.4 billion in 2018 and is expected to grow at a CAGR of 21% during the forecast period. This market has grown tremendously in different phases and has moved beyond outsourcing simple and low-cost engineering tasks to joint innovations with the outsourcing companies. Till the year 2000, companies were largely focusing only on outsourcing the basic or low-cost services which would help the organizations to save some costs. However, the scenario changed since the demand for products started increasing and the companies has to focus on shorter delivery time with high quality and scalability. During this phase the companies started outsourcing majority of the non-physical engineering tasks. These tasks include conceptualization, designing, validation and automation. This phase is also called as the phase of knowledge process outsourcing (KPO). This helped the companies to accelerate their time to the market, extending their product lifecycle and to gain entry to the new and emerging markets. The companies realized the need for developing optimized platforms with the help of outsourcing, thus increasing their market reach. It is anticipated that the next wave in the engineering service outsourcing would consist of joint efforts for innovation along with investment sharing and jointly capturing the market share. With the increasing adoption of big data, analytics, increasing usage of sensors, and rapid implementation of Internet of Things (IoT) in almost all the verticals has provided opportunity for the consultants to build platforms, applications and provide related services around these technologies. This has fueled the market for ESO and it is anticipated that the market would grow to USD 1.82 trillion by 2026. In today’s market, ESO covers a wide variety of services which include designing services such as drafting, CAD, validating these designs etc. ; prototyping services which includes prototypes for manufacturing sector, simulation services etc. ; product designing and testing which includes designing, testing and implementation of processes, their execution and reporting. Quality check and quality control is another major service which is being outsourced for quality assurance of the products and services. The engineering services outsourcing market is broadly segmented by location outlook which includes onsite and offshore and by application outlook which includes automotive, energy, network & communications, industrial automation, medical technology, Industrial Electronics & Automated Embedded Engineering Services, consumer electronics, semiconductors, construction, and aerospace. Industry verticals which are actively outsourcing includes telecom, consumer electronics, automotive, aerospace, followed by pharma and construction. Automotive and network & communication engineering services sector has the highest spending towards the outsourced engineering services and catered to the largest market share in 2018 followed by consumer electronics. Market growth in the automotive sector is driven by the factors such as increasing product quality, reliability, safety and performance. On the other hand, telecom and consumer electronics verticals have a demanding market and dynamically keeps changing according to the user requirements and needs. This sector demands new product and service designs in a shorter period of time with technological advancements, thus pushing the companies to adopt the outsourced services. The network and communication engineering services segment accounted for the highest market share of the ESO market and is expected to grow at a CAGR of 23.1% over the forecast period. 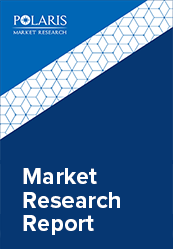 The market size for the industrial electronics and automated embedded engineering services segment is anticipated to increase from USD 85.8 billion in 2018 to USD 314 billion by 2026, growing at a CAGR of 17.7% from 2019 to 2026. Prototyping is expected to account for the largest market share of the automotive ESO market throughout the forecast period. Testing and Designing are anticipated to be the fastest growing service segment, with an estimated CAGR of 24.1% and 23.1% respectively over the forecast period. The income share for the onsite outsourcing segment is expected to grow gradually over the forecast period. However, the engineering services outsourcing market for offshore outsourcing is anticipated to gain traction due to various advantages such as accessibility of talented and cheap labor at offshore locations such as developing nations of India and China, which makes them appealing outsourcing areas. Key engineering specialist organizations have put resources into present day industry procedures and are available over worldwide business centers, which benefits them by being in closeness with the customer and encourages them to develop solid expert relations and procure area specialists who can likewise work at customer areas. In terms of the geography, North America and Europe are the largest spenders for the global research and development spending. However, Asia Pacific is the largest market for the ESO service providers due to countries such as India and China. These countries have the large pool of talent which includes graduates in engineering fields. For Example, India produce more than 500 thousand engineering graduates every year. This pool of skilled professionals is available for the required services at a cheaper price, thus increasing the outsourcing market in Asia Pacific. India is one of the countries which has over 50% of the aggregate outsourcing income produced from U.S. customers. The Asia Pacific region is relied upon to witness the speediest development rate of over 25% during the forecast period. Some worldwide manufacturers have their work centers in Asian countries for cost advantage. As a current pattern, to limited operation cost and procuring a skilled pool helps to offer of ESO merchants a lucrative deal. Asia Pacific region is projected to have fastest growth rate overtaking Europe and North America over the coming years. Germany and U.S are the top outsourcing countries with their centers in Vietnam, Thailand, India and China among others. Major industry players are HCL Technologies Limited, Wipro Limited, Tata Consultancy Services Limited, Infosys Ltd, IAV Gmbh, P+Z Engineering GmbH, Wipro and Kristler Instruments AG among others.